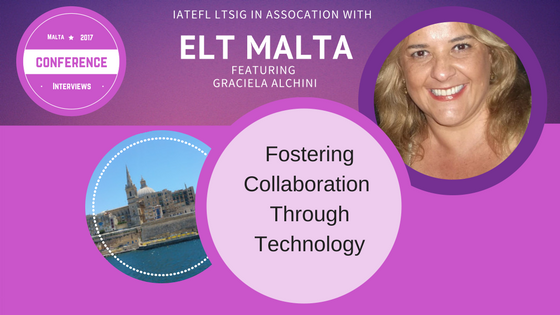 Our second travel grant winner for the 6th ELT Malta Conference is Graciela Alchini who is going to talk about fostering collaboration through technology. She describes the process of seamlessly integrating activites and project work through inter-college collaboration. This talk at ELT Malta will be of great interest to teachers who wish to learn more about long-distance group work, online education, co-ordinating virtual groups of students and encouraging learner autonomy.